This McLaren P1 was only the second car to be built out of the limited production run of 375 cars. The first car was kept by McLaren and never sold, making this the first P1 to be delivered. 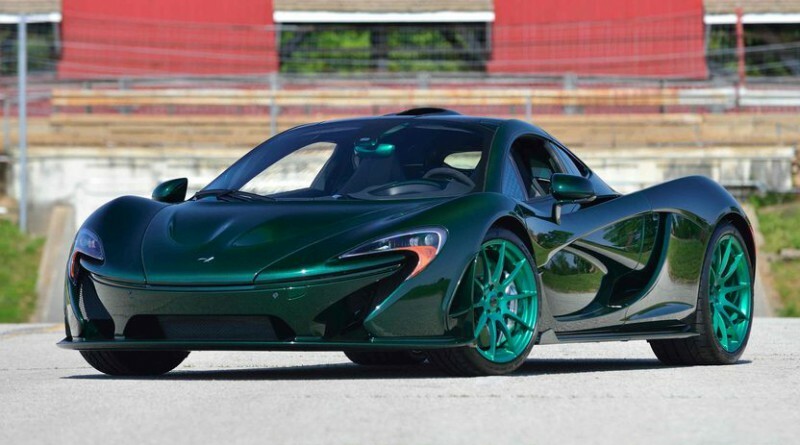 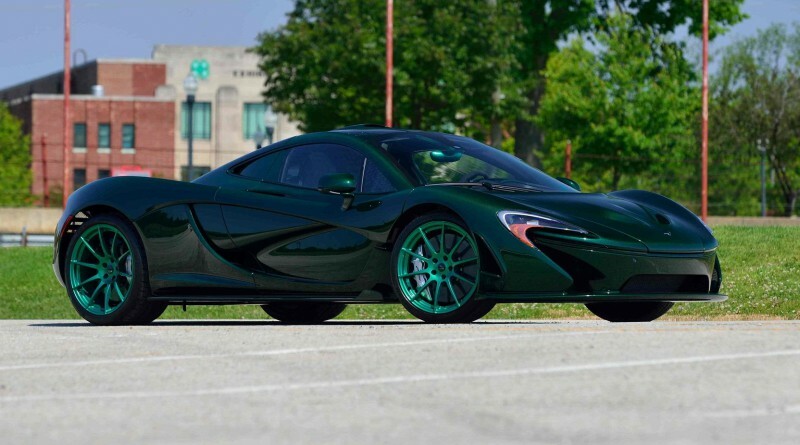 Most of the excitement around this P1 is due to the unique green color that was brought about by tinting the exposed carbon fiber. 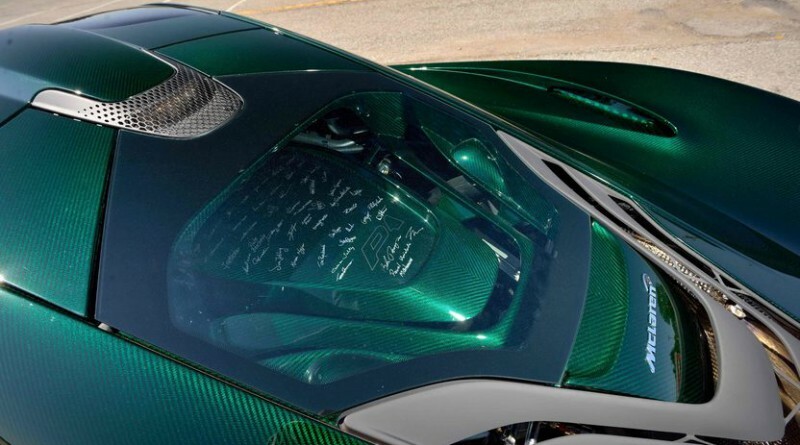 The car is in almost-new condition and has just 576 miles on it. 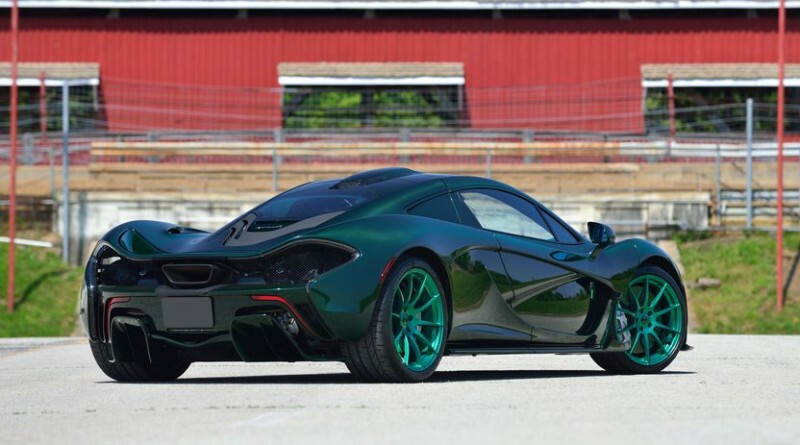 The car is scheduled for Mecum’s 2016 Monterey auction with a suggested auction price of $2.5 -$3 million, much higher than the original $1.15 million price when the car was first launched.